Washington, March 28: Surgeons in Baltimore have performed what's thought to be the world's first kidney transplant from a living donor with HIV, a milestone for patients with the AIDS virus who need a new organ. If other donors with HIV come forward, it could free up space on the transplant waiting list for everyone. Nina Martinez of Atlanta travelled to Johns Hopkins University to donate a kidney to an HIV-positive stranger, saying she "wanted to make a difference in somebody else's life" and counter the stigma that too often still surrounds HIV infection. Many people think "somebody with HIV is supposed to look sick," Martinez, 35, told The Associated Press before Monday's operation. "It's a powerful statement to show somebody like myself who's healthy enough to be a living organ donor." Hopkins, which is making the transplant public on Thursday, said both Martinez and the recipient of her kidney, who chose to remain anonymous, are recovering well. "Here's a disease that in the past was a death sentence and now has been so well controlled that it offers people with that disease an opportunity to save somebody else," said Dr Dorry Segev, a Hopkins surgeon who pushed for the HIV Organ Policy Equity, or HOPE, Act that lifted a 25-year US ban on transplants between people with HIV. Organ Transplant Causes Cancer? Rare Case Kills Three Organ Recipients Due to Transmitted Cancer Cells. There's no count of how many HIV-positive patients are among the 113,000 people on the nation's waiting list for an organ transplant. HIV-positive patients can receive transplants from HIV-negative donors just like anyone else. Only in the last few years, spurred by some pioneering operations in South Africa, have doctors begun transplanting organs from deceased donors with HIV into patients who also have the virus, organs that once would have been thrown away. 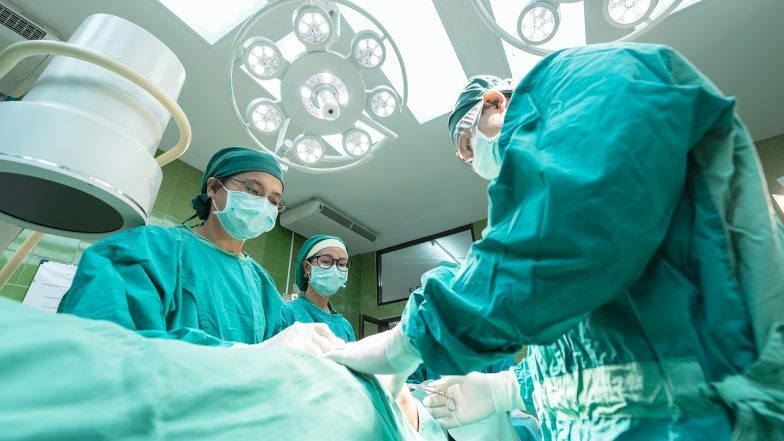 Since 2016, 116 such kidney and liver transplants have been performed in the US as part of a research study, according to the United Network for Organ Sharing, or UNOS, which oversees the transplant system. One question is whether receiving an organ from someone with a different strain of HIV than their own poses any risks, but so far there have been no safety problems, said UNOS chief medical officer Dr David Klassen. Hopkins' Segev said Monday's kidney transplant was a world first. Doctors had hesitated to allow people still living with HIV to donate because of concern that their remaining kidney would be at risk of damage from the virus or older medications used to treat it. But newer anti-HIV medications are safer and more effective, Segev said. His team recently studied the kidney health of 40,000 HIV-positive people and concluded that those with well-controlled HIV and no other kidney-harming ailments like high blood pressure should face the same risks from living donation as someone without HIV. "There are potentially tens of thousands of people living with HIV right now who could be living kidney donors," said Segev, who has advised some other hospitals considering the approach. Generally, kidneys from living donors last longer, added Dr Niraj Desai, the Hopkins surgeon caring for the recipient. And if more people living with HIV wind up donating, it helps more than HIV-positive patients who need a kidney. "That's one less person waiting for a limited resource," Desai said. "That helps everybody on the list." Martinez, a public health consultant, became interested in living donation even before HIV-to-HIV transplants began. Then last summer she learned that an HIV-positive friend needed a transplant, and tracked down Segev to ask if she could donate. Her friend died before Martinez finished the required health tests but she decided to honour him by donating to someone she didn't know. A runner who plans on making this fall's Marine Corps Marathon, "I knew I was probably just as healthy as someone not living with HIV who was being evaluated as a kidney donor," Martinez said. "I've never been surer of anything."